The following was a eulogy I read at a Celebration of Life service for a man who was like a second father to me. Bill passed away in May at the age of 83. I will miss him and never forget him. I learned not to sit directly behind him in a moving automobile when he was chewing tobacco with the windows down because the juice goes out the front window and comes right back in the rear window. I learned that you always want to beat traffic and leave early no matter how exciting the event or how beautiful the day. I think the only way I saw the Blue Angels and Thunderbirds perform the climax of an airshow was with my head sticking out the window looking up as we were driving home. He was a great storyteller. Hunting stories, fishing stories, going down the Tahquamenon falls in a canoe stories and my favorite about the time he spent 30 days in jail in some little burg up north. Yeah, he was opinionated, pigheaded, and obstinate, and he could rub people the wrong way. He sometimes even went as far as breaking relationships; however, he was also blessed in that he was given some extra time on this earth and he managed to repair a few of those. We may not be as lucky. Maybe the best lesson there is not to break them in the first place. He’s gone but I don’t think anyone here will soon forget him. I’m richer because I knew him as a father, as a mentor, and as a friend. 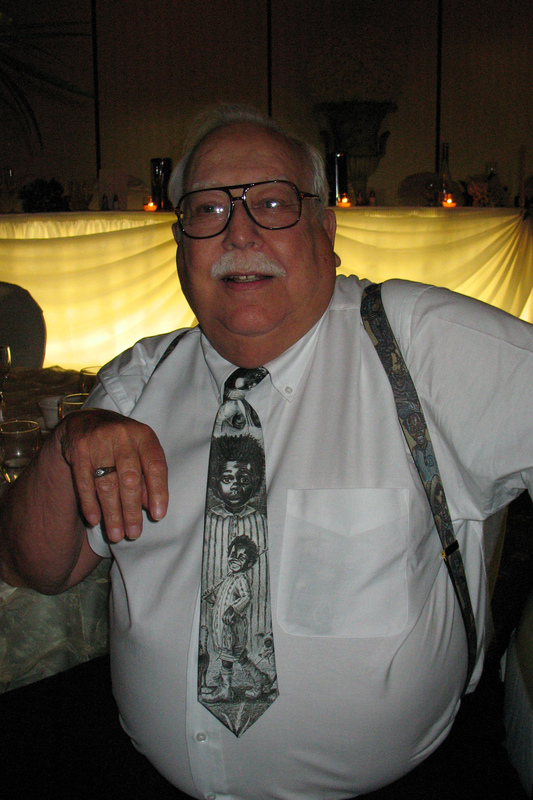 Many of you here knew Fred Vogt who was a character in his own right. When Fred died Bill said that after God made Fred Vogt he broke the mold. That his kind would never pass this way again. I believe we can all say the same thing about Bill Stickney. He was one of those larger-than-life personalities and when God made Bill Stickney, he broke the mold there too. To his grandkids and great-grandkids and nephews and nieces, I want to issue a challenge. You have some of Bill’s genes in you, his blood and maybe a little of his tobacco juice coursing through your veins. Maybe you can be next defying convention and be a one-of-a-kind, God-broke-the-mold kind of a person. But most importantly, maybe you can be next to share your wisdom, your wit, your passions and more importantly your time with others, be they friends, family or pseudo family. That’s not a bad legacy to leave behind. 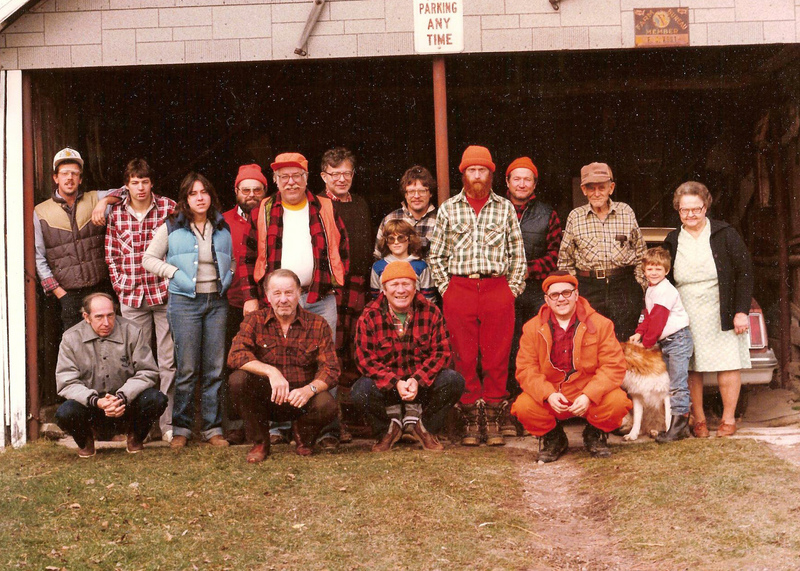 Bill is the white shirt and orange suspenders standing on the left side of the photo. The photo was taken in the early 1980s at the Vogt Farm. Fred Vogt, who was referenced in my talk, is the short elderly gentleman in the hat standing to the right. He deserves his own post! 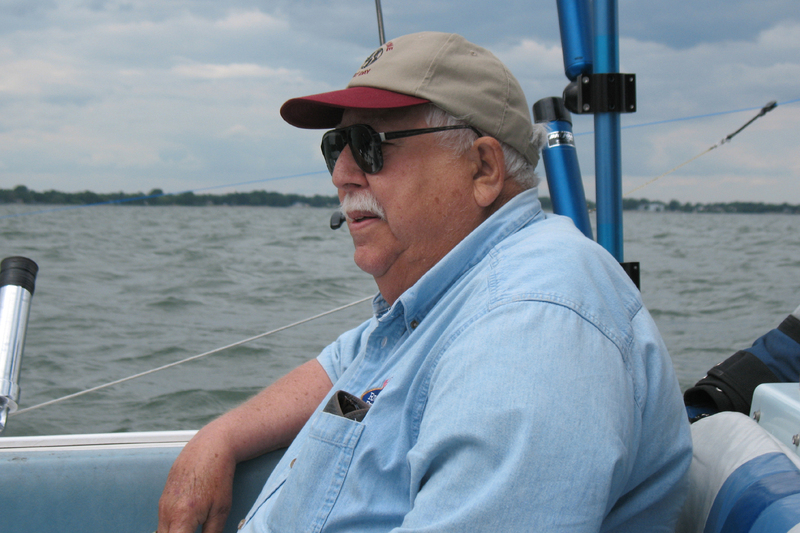 This entry was posted in Things I've learned, Uncategorized and tagged bill stickney, eulogy, William E. Stickney. Bookmark the permalink.